The GRO-50 is certified to reduce salts, dissolved minerals and bad taste & odor; and NSF/ANSI Standard 58 certified to reduce cysts such as Cryptosporidium and Giardia by mechanical means. They are designed for chlorinated or non-chlorinated water and reduce particles as small as 1/1000 of a micron in size by mechanical means. Utilizing the Pentair 50 GPD high efficiency membrane, we are able to offer the best recovery rate on the market. 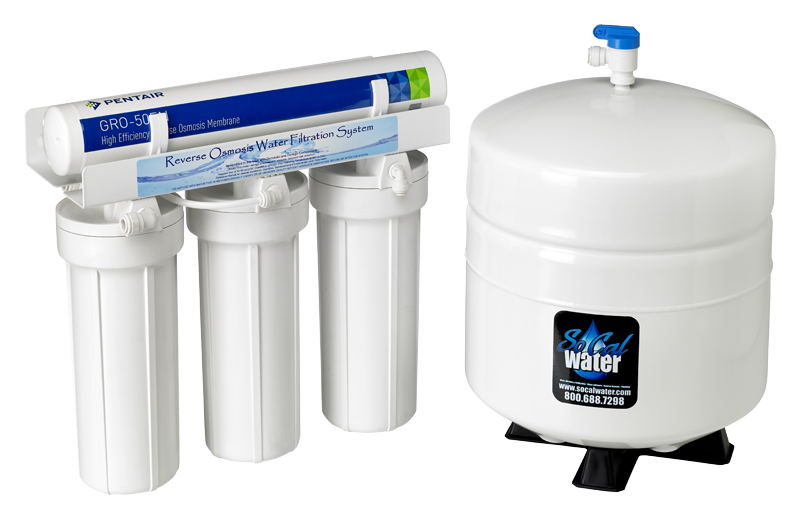 Currently, reverse osmosis systems can use 2 – 4 gallons of water to produce 1 gallon of water. We can expect a 1:1 ratio with the new GRO – 50. This means 1 gallon used to make 1 gallon of purified drinking water. Pentair’s GRO integrates a 100% dry membrane to help maximize its lifespan and provide enhanced performance to the end user. The GRO boasts a 50% recovery rate while maintaining a retrofit-able design for easy integration. 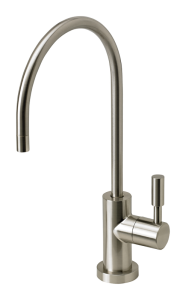 Description: The Sierra 4-stage reverse osmosis system delivers gallons of clean, clear drinking water. 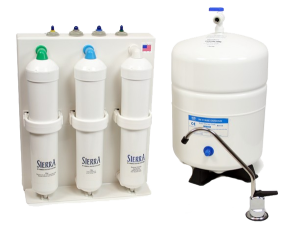 The Sierra features hygienically sealed filter cartridges and color-coded fittings for easy installation and service. 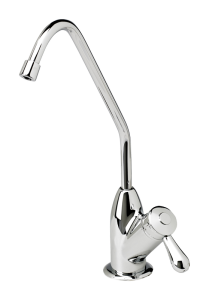 The system comes with a chrome faucet. 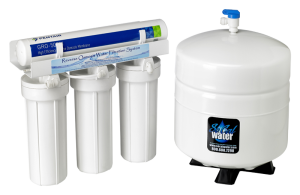 The WaterMaker Five reverse osmosis system produces high quality drinking water quickly and easily. The system features a 50 gpd reverse osmosis membrane and top quality coconut carbon filtration in a five stage configuration. Designed with hygienically sealed filter cartridges and color-coded fittings for fast installation and easy service, the WaterMaker Five RO system delivers 30% higher flow from the faucet while reducing water waste by 50%. 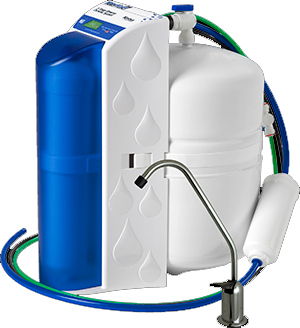 The WaterMaker Five system is California AB1953 and Vermont VT S.152 compliant. The WaterMaker Five system has been certified CarbonNeutral® by The Carbon Neutral Company. The CO2 emissions for the system were reduced to net zero through a combination of internal reductions and high quality carbon offsets.